Hello dear friends! You can download the More Food mod and enjoy a huge variety of food! If you think that a game contains too few types of food for your character, then this modification will help to correct the situation. Now, you can use about forty new tasty dishes! Just imagine what an abundance awaits you. All these dishes are cooked in different ways. That is, you will have several types of pastries, cheeses and so on. Another nice note is the amount of food. Foods is almost unlimited, so you can eat plenty of your favorite dishes. 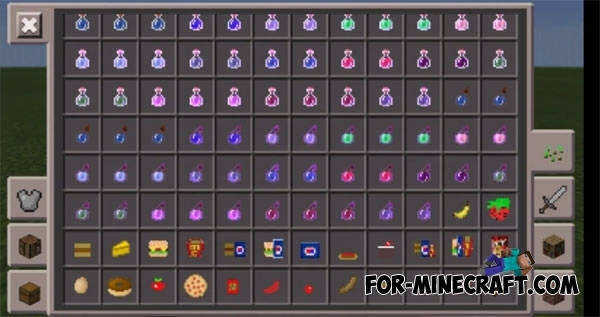 U can see and get an any type of food in the creative inventory. Do not deprive yourself the pleasure to enjoy the delicious and varied food in Minecraft PE 0.15, especially it is so easy. 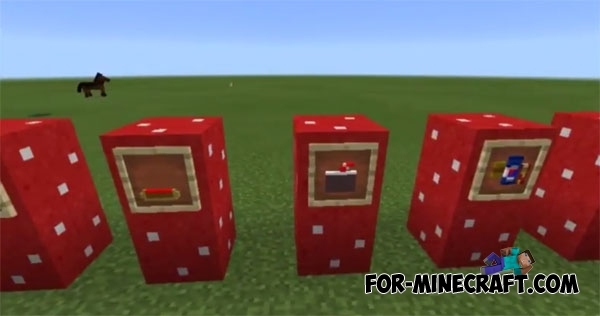 Mod is an alternative to Usefull Food (have similar crafting recipes). 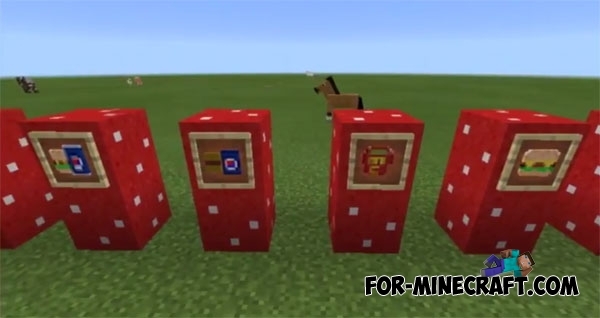 Usefull Food mod for Minecraft PE 0.14.0The mod adds to the game a lot of new food - fried eggs, pasta, cheese, ice cream and more!